It was quite a nail-biting experience for South African fans, although the final team to enter and qualify the African Cups of Nations in 2019 were no other than Bafana. Once the South African team became the final entrant for the 2019 Cup of Nations in Africa, the stadiums that will host the tournament in Egypt was announced. Egypt hosts the AFCON 2019 and once Cameroon got stripped of all hosting rights, which was confirmed in January by the African Football Confederation, announced the six main stadiums. The tournament in 2019 is the first edition in which 24 different teams partake; these will play out across the six stadiums announced by the EFA (Egypt Football Association). Originally eight various sites were proposed for the Africa tournament, although, once the CAF delegation inspected these, only six were selected. One of the main stadiums, part of the selected six is the Cairo International Stadium offering a capacity of 75,000 spectators. The Port Said Stadium is also one of the six selected sports arenas; this stadium is infamous for the 70 people that passed away in 2012. This was the worst tragedy in any stadium, and 70 spectators lost their lives during a rally. The game on that day was between Al Ahly and Al Masry, since then the stadium was renovated, and it took until 2018 for the home team to be allowed to return to the stadium. The Al Salam Stadium was selected to be replaced by the Air Force Stadium, which also hosts the Al Ahly matches and it made out part of the original list of eight stadiums. The international kicks off on the 21st of June and due to preparations, the Air Force Stadium was replaced. The other stadiums that are part of those considered for the final and also the semi-finals are yet to be announced by the EFA, and these include the Alexandria Stadium, the Sues Sports Stadium and the Ismailia Stadium. The six stadiums that were selected by the African Football Confederation includes the Port Said Stadium with a 17,988 capacity, and the Ismailia Stadium has an 18,500 capacity. The Alexandria Stadium has a 22,000 capacity, and the three more massive stadiums include the Suez Sports Stadium with a 27,000 capacity. 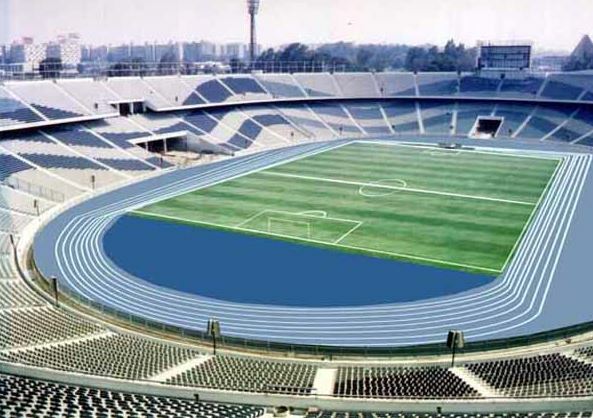 The second largest according to capacity is the Air Force Stadium welcoming up to 30,000 fans, and 74,100 fans can attend matches at the Cairo International Stadium. Meanwhile, the nominations for the top 10 new stadiums around the globe has just been announced, and these include the MOL Arena Sosto in Hungary, DVTK Stadium also in Hungary and the Zaozhuang Stadium as well as the Suzhou OSC Stadium in China. Turkey also has a nominated stadium in this category, and it includes the Bursa Buyuksehir Stadium with a 43,331 capacity.